Roast aubergine slices topped with meatballs coated in a basil & mixed herbs infused passata sauce. Aubergine: Slice the aubergine into halfmoons (½ cm thick). 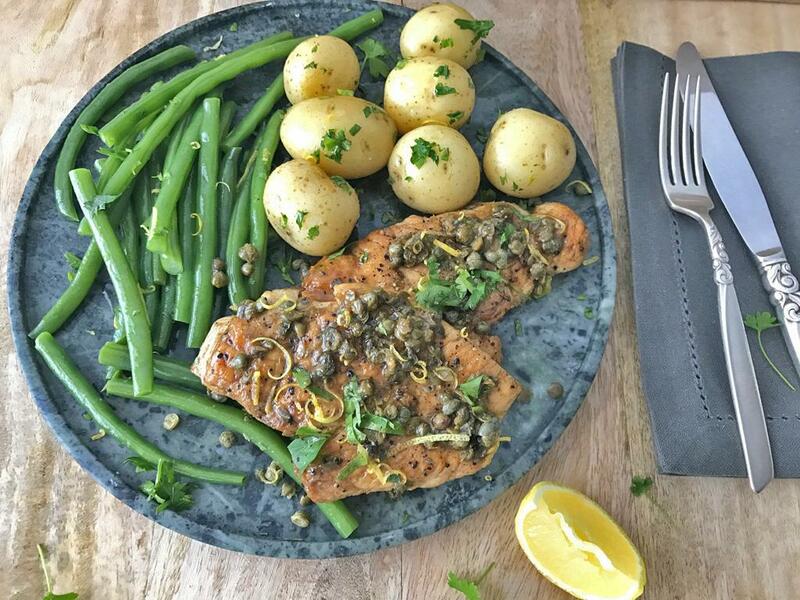 Place on a tin foil lined baking tray with a drizzle of olive oil and season with salt and pepper. Mix and arrange in a single layer, then roast for 15-20 minutes until golden. Don’t be tempted to shake them around. They cook best when left alone. When done, let them cool down slightly and gently peel them off the tray. Tomato sauce: Using the same pan on medium-high heat, add the REST of the onion with a pinch of salt and sauté for 5 minutes. Add the REST of the garlic, the REST of the mixed herbs, grated tomatoes (with the liquid) and cook for 2 minutes, before pouring in the passata and water (2 tbsp). Add the meatballs, season with salt and pepper then simmer (gently boil) for 10 minutes until the sauce thickens and the meatballs cook through. Slice the basil leaves thinly and mix through. 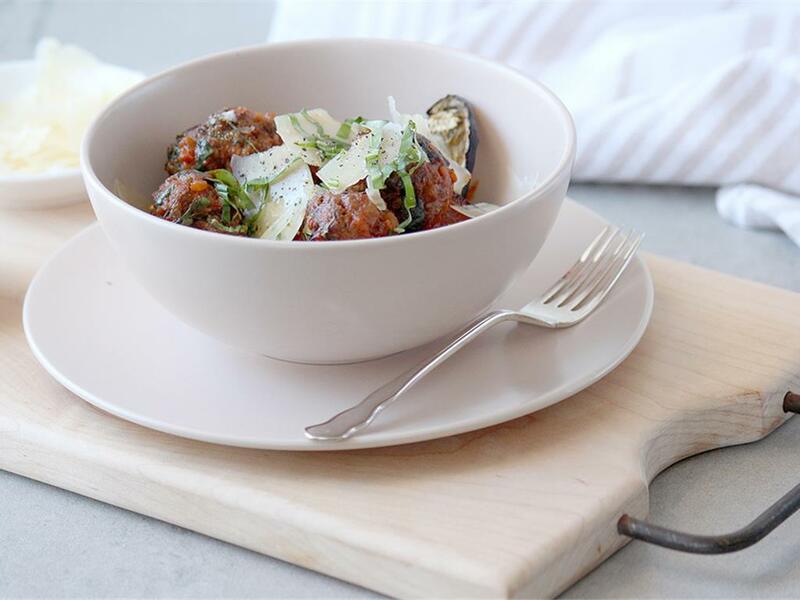 Serve the roast aubergine topped with the saucy meatballs and hard cheese shavings. 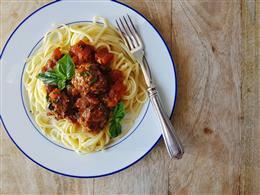 "Liked the sauce and how easy it was to make the meatballs with so little ingredients."